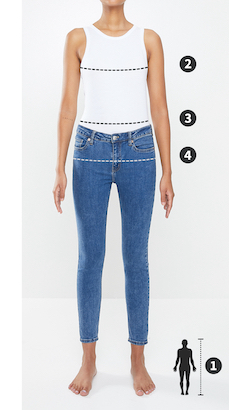 Opt for an effortlessly good look by incorporating these lovely skinny jeans into your day-to-day styling. Designed for a flatteringly slim fit, the jeans have a mid-rise cut and feature five pockets and on-trend tears along both knees. Pair yours with a brand tee, heeled ankle boots and a chunky necklace.